Home » Living Healthy » Water Retention, Bloating Giving You A Hard Time? Here's How Parsley Can Help! If you are someone who experiences water retention too often, here's a parsley tea that can help! 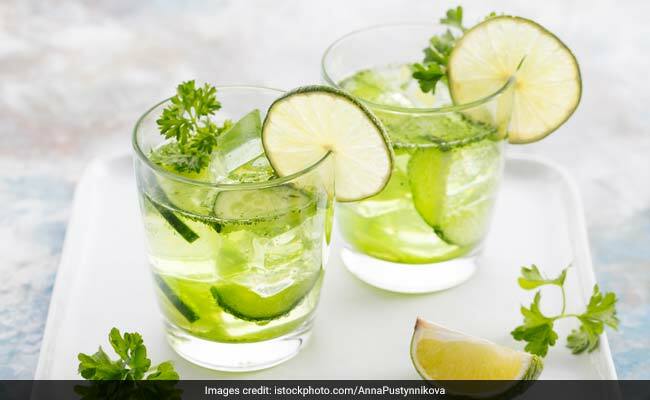 Also try the parsley detox water for effective results, suggests nutritionist Tapasya Mundhra. Water retention is quite a common problem faced by people. When extra fluids build up inside the body, it results in water retention, which is also known as edema. The condition is common during pregnancy, and among people who are physically inactive or bedridden. In some cases, water retention can occur because of an underlying medical condition like kidney disease or heart disease. Some simple ways to reduce water retention include eating less salt, more potassium rich foods and avoiding consumption of refined carbs. Another effective and natural treatment for water retention is parsley. Let's see how it works. Delhi-based nutritionist Tapasya Mundhra, in one of the videos shared on Facebook, talks about benefits of parsley for water retention. Cutting down foods like milk, yogurt, cheese, breads, legumes and onions (FODMAP diet) can help in reducing incidence of gastrointestinal issues like stomach cramps, gas, bloating, etc. You will be surprised to know that parsley is a natural diuretic that is also a powerhouse of Vitamins A, B, C and K. The herb, which is commonly used both as an ingredient or for garnishing of food, can help in eliminating excess fluid from the body. In her video, Tapasya talks about a parsley drink that can help in reducing water retention. You need some parsley leaves or dried parsley, some mint leaves, half a tsp of jeera (cumin) and a cup of water. Add all these ingredients to boiling water. Reduce it to half, and make your parsley tea. This drink will not only refresh you, but will also effectively reduce water retention. If you are someone who experiences water retention quite often, you can have the parsley tea thrice a day for around four to five days. Continue with the tea until you experience reduced water retention. Another way of consuming parsley for water retention is by creating a simple parsley detox water. 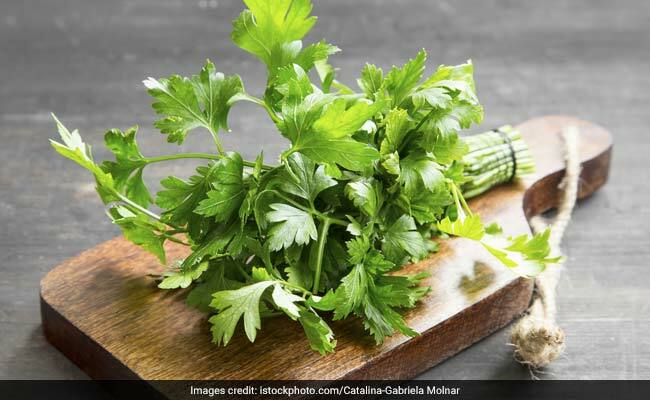 All you need to do is add a few parsley leaves in water and drink this parsley infused water whenever you feel bloated or experience water retention. Apart from beating water retention, parsley is a herb that can have positive effects on your blood sugar levels. It contains cartenoid antioxidant that is good for heart health. Parsley also has antibacterial properties. It can be beneficial for your bone health, thanks to its content of Vitamin K, calcium, potassium and magnesium. Apigenin is another antioxidant in parsley that can reduce inflammation in the body, and give a boost to immunity. Including parsley in your diet can have beneficial effects on liver health.